So, of course you're all eating a sensible, healthy diet full of fresh fruit & vegetables every single day, right? Yeah, right. I'm sure most of you, my dear readers, are like me & what we eat sometimes, well, it ain't exactly the kind of meal you'd brag about to a nutritionist. So what do we do? We take multivitamins! If we remember... Which we probably don't. It's effervescent, so it satisfies my craving for fizzy drinks without all the sugar in pop. It's naturally sweetened with monk fruit powder & doesn't have much sugar at all (6g per serving). There are four flavours to choose from--lemon-lime, raspberry, orange & tangerine-grapefruit. It's got B-vitamins & electrolytes to keep you hydrated & give you a natural energy boost. 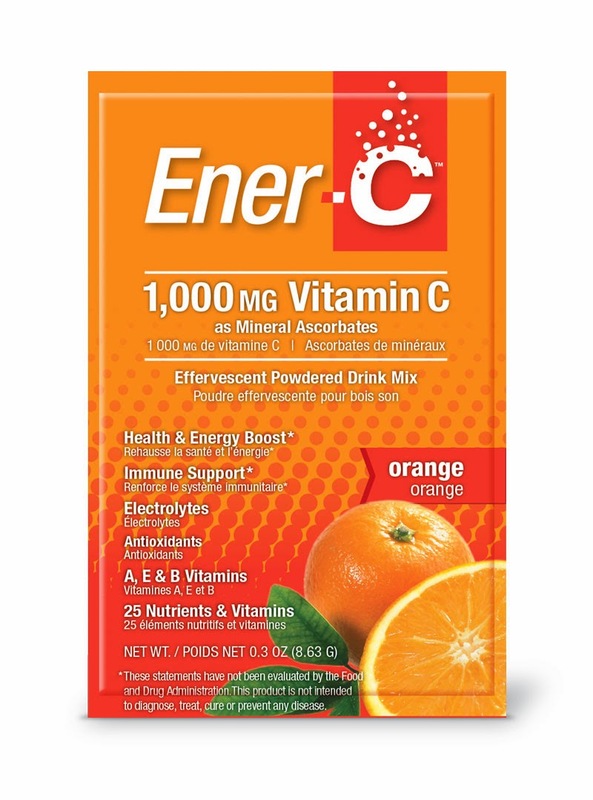 Ener-C is available at Whole Foods & many other health food stores, & even yoga studios. Find a store near you here. It's about $14 for a box of 30 single-serving packets. For more info, see the Ener-C website, like them on Facebook or follow them on Twitter. Disclaimer: I received a sample of the product to facilitate this review. The opinions & ideas above are my own, as always.